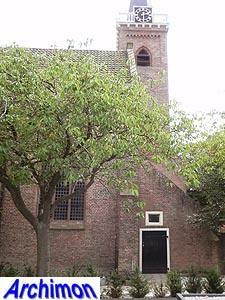 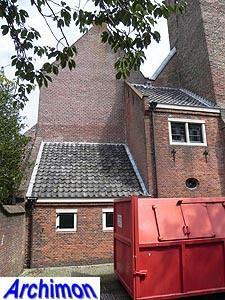 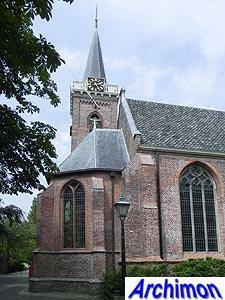 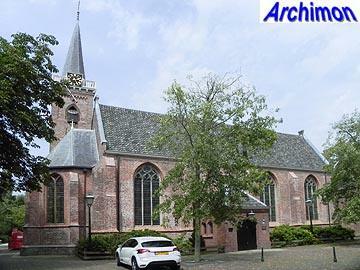 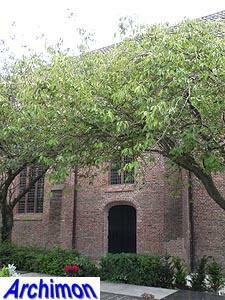 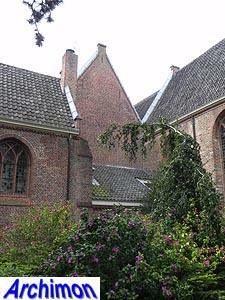 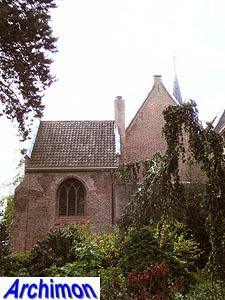 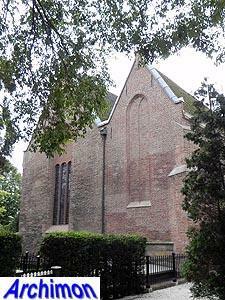 The Dorpskerk ('village church') was founded in 1231 as the chapel of a leper hospital. 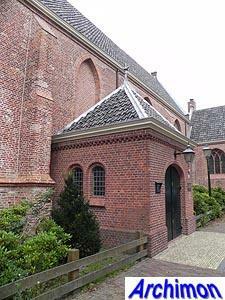 The people of Katwijk attended this chapel rather than to go to the parish church in Valkenburg. 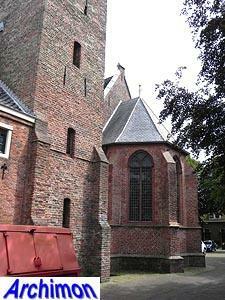 In 1295 this was ended, but Katwijk did not become a parish in its own right until 1388. 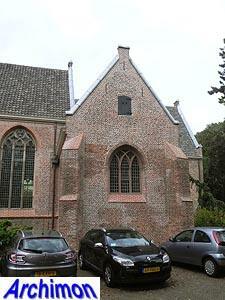 The chapel now became a parish church. 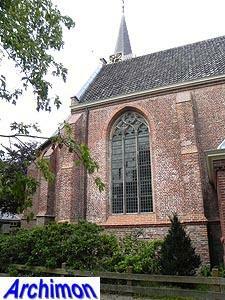 Of course, it was a catholic church then, and was named St. Johannes de Doper (St. John the Baptist). 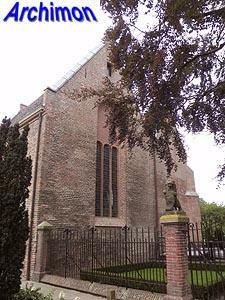 The church appears to have survived the Reformation of the late-16th century and the Eighty Years War intact, except for the interior. 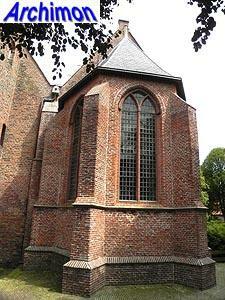 In the meantime it became a protestant church. 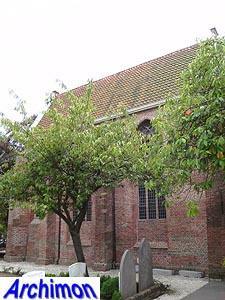 The oldest parts of the church are the tower, the straight main choir and the western facade of the nave which all date from the end of the 13th century. 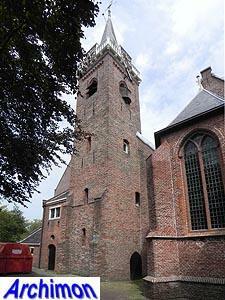 The tower has entrances at its northern and southern sides and is crowned with a balustrade. 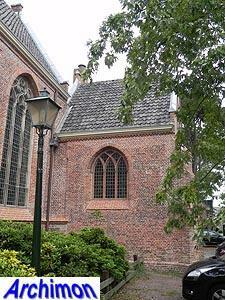 At its western side it is supported by two short buttresses. 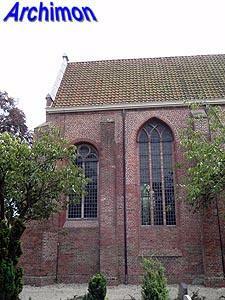 Unlike the tower, the main choir has a significant deviation from the axis of the nave. 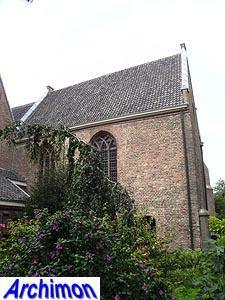 This deviation was inherited by the lateral choir added later. 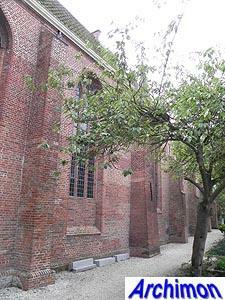 Most of the nave dates from the mid 15th century. 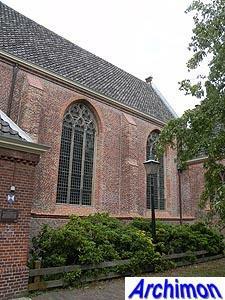 Although the church has three qually high aisles, with seperate roofs for all three, and thus appears to be a hall-church, some sources call it a pseudo-basilica, perhaps because of the slight difference in width. 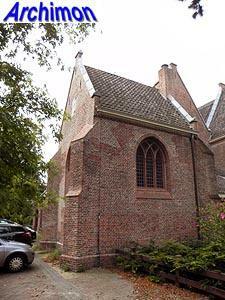 Several 18th-century engravings show the four traves of the northern aisle with gables, each with its roof. 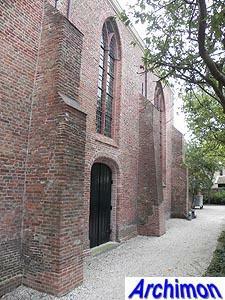 These were removed later that century. 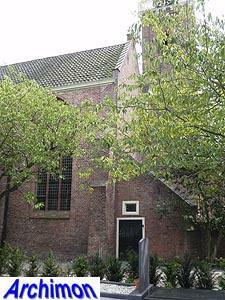 Around the year 1500 the northern lateral choir and a sacristy were built at the eastern side, while a baptistry was added to the western side. 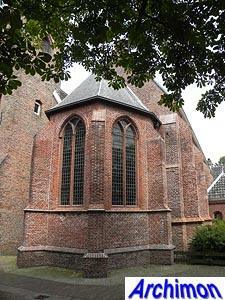 A southern lateral choir was planned but never built, leaving the sacristy on that side almost standing free.